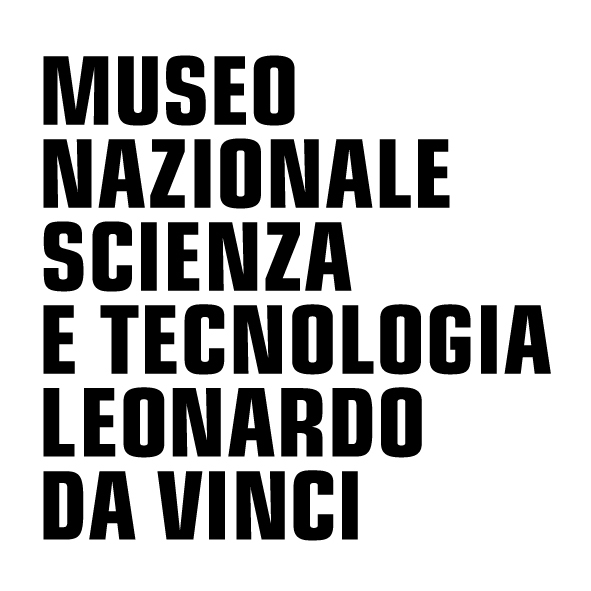 The National Museum of Science and Technology Leonardo da Vinci (MUST) recruited classrooms of students for the ambassador program. The museum presented the project to local teachers during a teacher's open day at the museum. 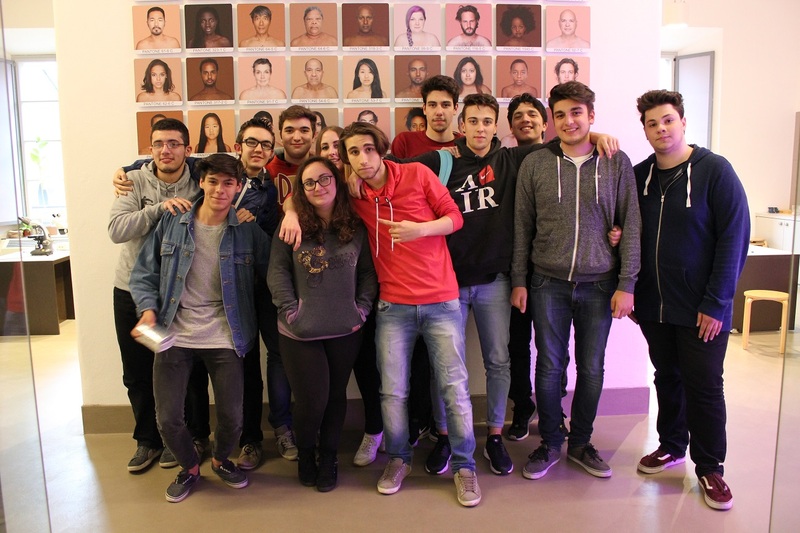 After the workshop, museum staff selected 4 classrooms from 4 different schools to participate in the program: Liceo classico San Raffaele, Liceo scientifico "Giulio Casiraghi" di Cinisello Balsamo, ITCS "Primo Levi" di Bollate (Indirizzo Buiologico Sanitario), and Istituto tecnico statale "Facchinetti" di Castellanza (VA). Having entire classrooms instead of individual students as ambassadors added a unique experience and a diverse set of students to the project. In all, 73 students were involved in museum workshop preparations and making presentation videos, 7 high school professors supported the ambassadors, and 7 university mentors were involved, from 3 different universities in 4 different departments. 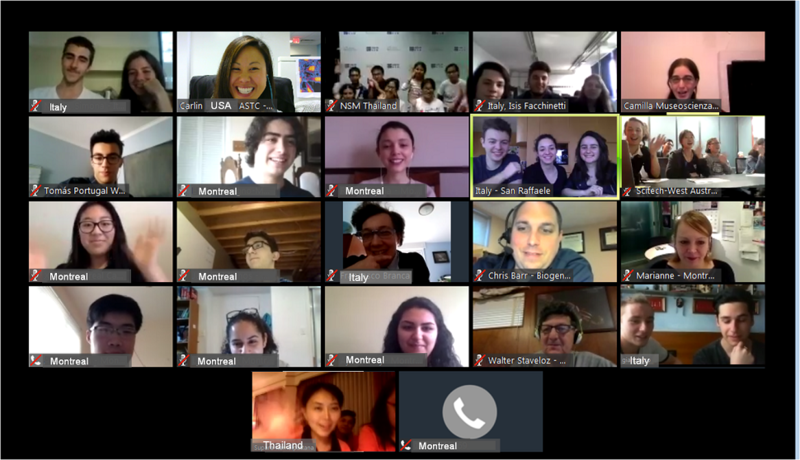 Due to the size of each classroom, students appointed select students as "International Representatives" to serve as spokepersons for their classrooms during the online exchanges and on social media. 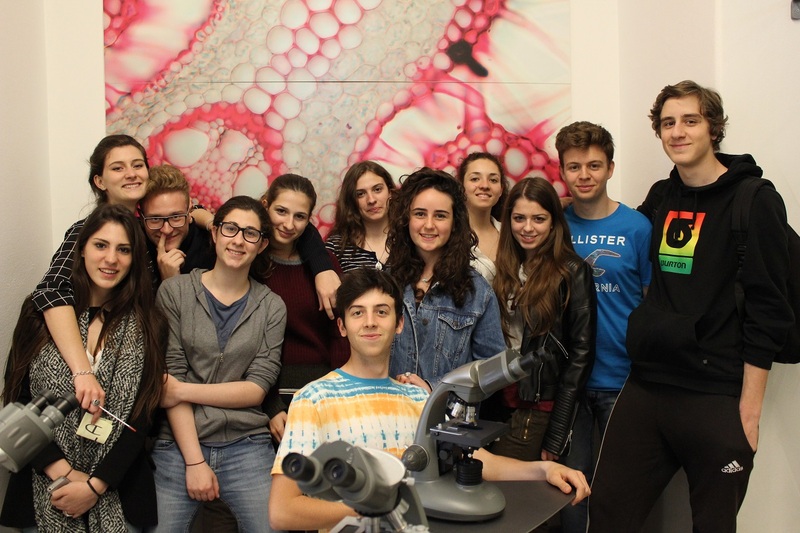 Many of the students were able to participate in workshops at the museum, which included hands on biotech activities, developing project outlines, working with mentors, and training in science communication. The museum hosted several WBT events, including the festival, throughout the year. Before the festival, MUST invited local press and media to the museum to learn about the tour, hear the ambassadors present their biotech topics, and to promote the festival. 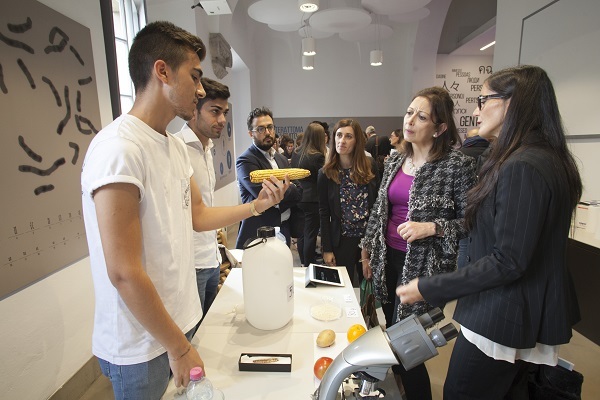 The students had the unique experience of speaking to the media and meeting influential people in industry, including Biogen EVP Adriana Karaboutis. Photos by Simone Barbagallo. Video by AskaNews. In addition to their hands-on activities, ambassadors were asked to create a 3 min video presentation on their biotech topics. The videos were part of an online competition and the public were asked to select their favorite video. The festival at MUST opened during the Meet Me Tonight Researcher's Night, a national science event. A ceremony was held in the laboratory with special speakers, including Director General of the Museum Fiorenzo Galli, Director of International Relations ASTC Walter Staveloz, Executive Director of the Biogen Foundation Chris Barr, and Councillor for University, Research and Open Innovation of the Lombardy Region Luca del Gobbo. The Opening Ceremony culminated in the WBT Trophy being presented to Scitech. Throughout the festival, visitors enjoyed biotech-themed activities, ambassador presentations, science lectures, and a biotech scavenger hunt guided by museum staff. 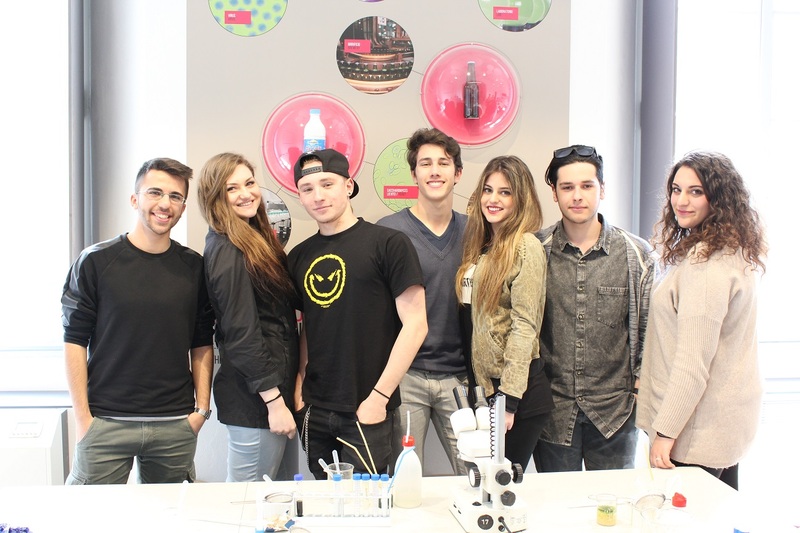 The Biogen office in Milan were very active in the World Biotech Tour at MUST. An Biogen employee volunteered to be a mentor for a local classroom, Biogen representatives attended many of the workshops with teachers and media events with ambassadors, and they also had a PTC taste test activity booth at the festival where visitors were able to test if they carried the hereditary gene for tasting the bitter-tasting PTC molecule. 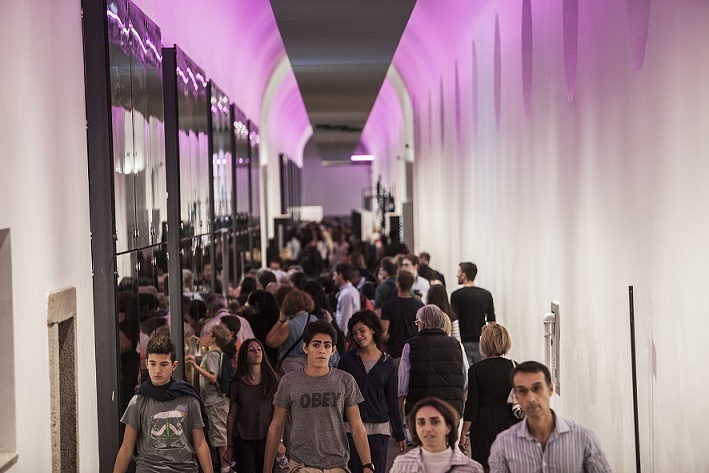 One day of the festival was located at a pop-up event in Giardini Indro Montanelli, a public park, where the World Biotech Tour was featured inside the tent with ambassadors facilitating biotech activities. The museum held a separate event to demonstrate the lab-in-a-box activities to teachers. The workshop allowed teachers to give feedback on how they could use the activities in classrooms. The student ambassadors were required to produce a 3-min video of their biotech topics as well as a table top activity or presentation for the public. The videos were posted on the museum's website and social media and the public were invited to vote on their favorite one through an online form. In addition to the public's vote, during the media event, press and media representatives also voted on their favorite videos. 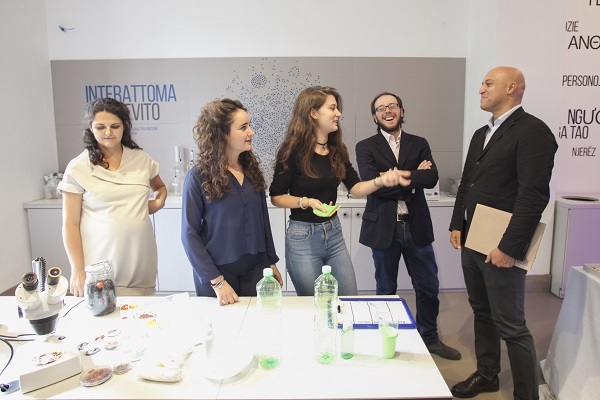 It was a close competition, but in the end the "Bacteria Circus" video from ITIS Facchinetti di Castellanza secondary school and their demonstration on how oil-eating bacteria can be encapsulated into small gelatin spheres and safely used in bodies of water received the most votes. The museum staff, along with the classroom teacher and WBT mentor, selected WBT ambassador, Mario Spiniello, as the representative for the class and the museum at the 2017 Science Centre World Summit in Tokyo, Japan. 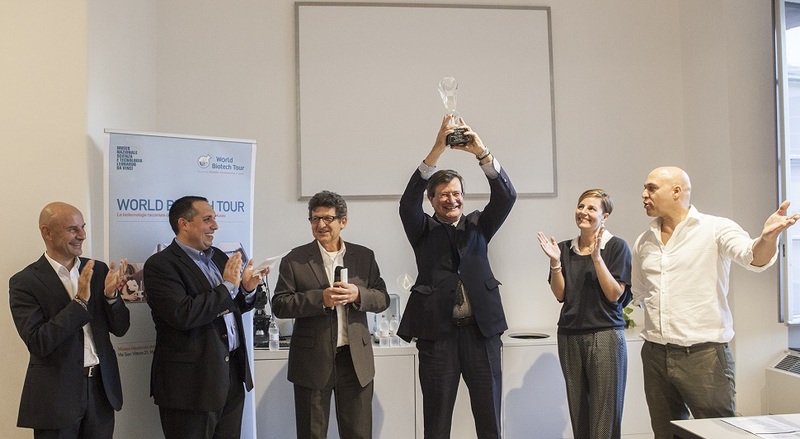 Mario will join 11 other selected ambassadors from around the world in presenting their biotech topics and sharing feedback on the World Biotech Tour to museum and industry leaders.